THOUSANDS gathered at Stonehenge to celebrate the first sunrise after the winter solstice. Crowds arrived at the Wiltshire landmark before dawn with many others travelling to the Avebury stone circle, which is also in the county. The winter solstice marks the point when the North Pole is tilted 23.5 degrees away from the sun. The solstice occurred at 04:49 GMT, with the sun rising at 08:04. Pagans and druids dressed in traditional clothing joined families and a choir to mark the end of the longest night of the year. Thick cloud at the prehistoric site in Wiltshire meant the sunrise, at 8.10am, was not visible. 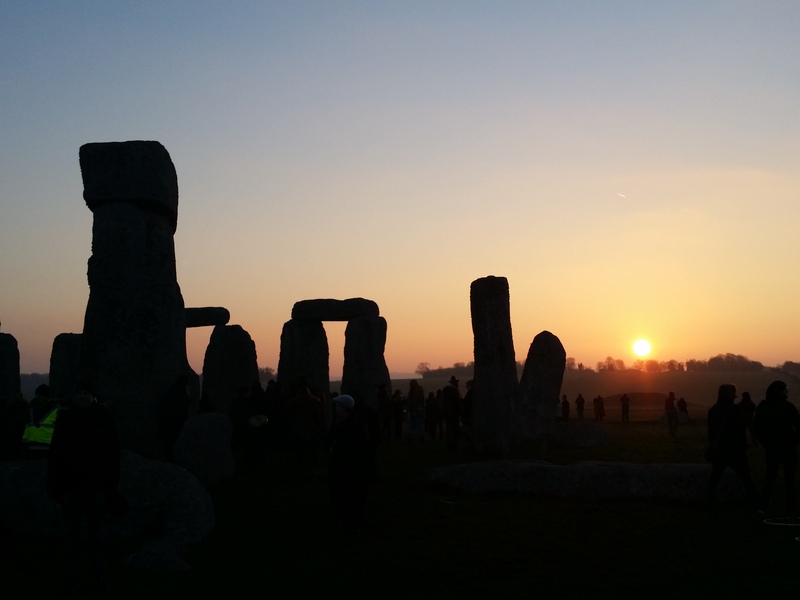 Kate Davies, of English Heritage, said: “We were delighted to welcome approximately 5,000 people to Stonehenge to celebrate winter solstice this morning. “It was an enjoyable and peaceful celebration despite the damp weather and it was great to see so many families enjoying the music and chanting around the monument. English Heritage are hiring a new ‘solstice coordinator’ at Stonehenge. How would you like to help organise this year’s solstice celebrations at Stonehenge? English Heritage is advertising for a solstice coordinator to help put on seasonal gatherings at the ancient site near Salisbury. The successful candidate will be tasked with arranging access to the stones during pagan celestial celebrations. Druids were traditionally allowed to attend Stonehenge for free on the solstice but there has been controversy recently over parking charges. The salary is £20,000 pro rata on a part time basis working 14 hours a week and you must be available overnight on the night of each seasonal gathering. 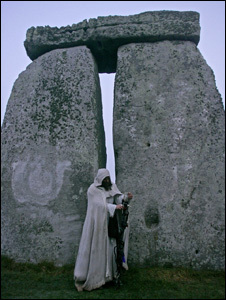 There is a history of tension between the druid and pagan communities and English Heritage. Last year tempers flared when King Arthur Pendragon, Britain’s head druid said high parking charges meant solstice visitors had to ‘pay to pray’ at the sacred stones. English Heritage has also accused protestors of ‘vandalising’ the site. English Heritage cares for over 400 historic buildings, monuments and sites – from world famous prehistoric sites to grand medieval castles; from Roman forts on the edges of empire to a Cold War bunker. English Heritage is pleased to welcome people to Stonehenge to celebrate this year’s Summer Solstice. This is the 17th year that English Heritage has provided access to the stones and are looking forward to a peaceful celebration. The Solstice Car Park opens at 7pm on 20th June with last admissions at 6am (or when full, if earlier) on 21st June. The car park will close at 12 noon on 21st June.Alcohol is not permitted in the monument field during Summer Solstice.Admission to the Summer Solstice at Stonehenge is free of charge, however please note that parking fees in the official car park apply – cars: £15, commercial coaches and minibuses: £50, motorcycles: £5.  Amplified music is not permitted in or around the monument field. confiscated or individuals in possession of alcohol will be asked to leave. the police and will not be allowed back in. on site and will take action against anyone breaking the law. and livestock and wildlife also graze in the area. Any glass items will be confiscated. recognised disability aid). Shooting-sticks are not permitted.  To help us reduce the amount of litter on site, leafleting or flyering is not allowed. Stonehenge or in any of the Solstice Car Parks. • Admission to the Summer Solstice at Stonehenge is free of charge. • Public transport is available from Salisbury. • Children under 16 must be accompanied by a responsible adult. – Flaming torches, Chinese lanterns, fireworks or candles etc. “We strongly advise anyone planning to come to Stonehenge for solstice to leave their cars at home and travel by public transport. Salisbury is easily accessible by train and the local Salisbury Reds bus company will be running a special service from Salisbury to Stonehenge through Saturday night and into the next day. Solstice Events are offering their usual transport from Bath and Stonehenge guided tours are offering their small group tour from London. Follow @St0nehenge @EH_Stonehenge @HighwaysEngland and @Wiltshirepolice for #summersolstice updates on the night. The first day of spring has been marked by more than 800 revellers who gathered at Stonehenge to watch the sunrise. Druids and pagans were joined by a mass of revellers at the ancient monument to celebrate the spring or vernal equinox. Open access to the stones was given from first light, 05:45 GMT, by English Heritage which manages the site. Despite a cloudy forecast, @St0nehenge tweeted that the gathering had been “blessed with a perfect sunrise”. “A lot of people are coming out to sacred places to celebrate the turning of the wheel, which is what paganism is about,” said Mr Pendragon.